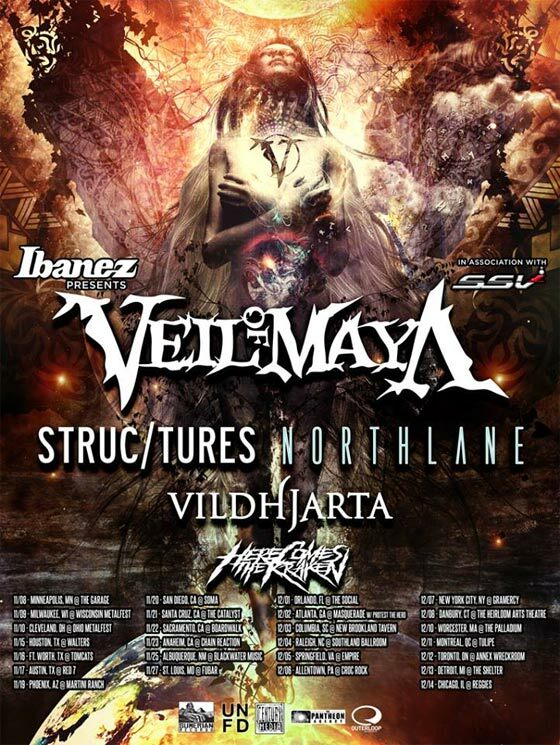 HUGE VEIL OF MAYA TOUR! Veil of Maya will be devastating the United States alongside Structures, Northlane, Vildhjarta (first time playing in the United States), and Here Comes The Kraken! The tour will start up in November and end in December. Check the dates on the flyer below, listen to some tunes, and grab your tickets! We’ll see you in the pit.